The wedding cake business is a racket. When my wife and I got married, I seem to remember the extravagant wedding cake cost something like 2,000 smackeroos. And while it looked beautiful, it actually didn’t taste that great. It certainly didn’t taste as good as a glazed donut, but I’m a simple man with simple needs when it comes to my sweets. Now, there’s finally a wedding cake for the rest of us. 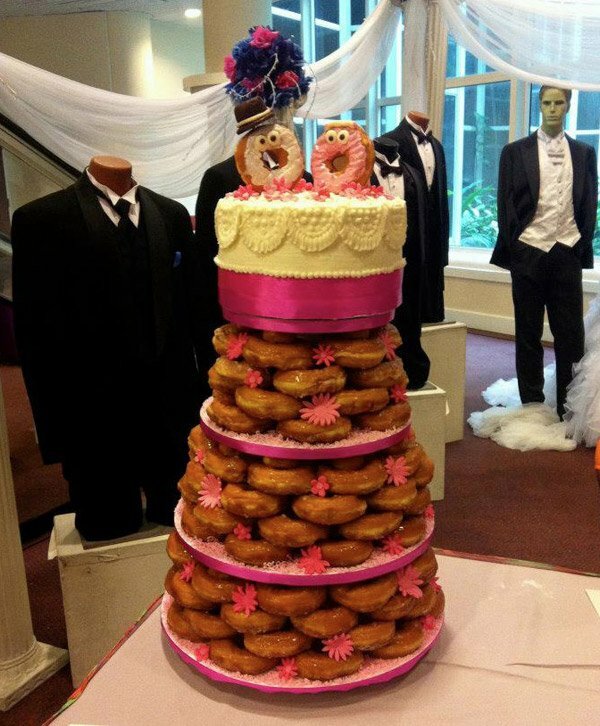 Dunkin Donuts Bahamas worked with the Swiss Pastry Shop to create this epic wedding cake using carefully stacked piles of their glazed donuts, and it’s just perfect. Not only does it eliminate the need for slicing the cake and getting that messy frosting all over the bride and groom, but I’m sure it cost way less than a traditional wedding cake. 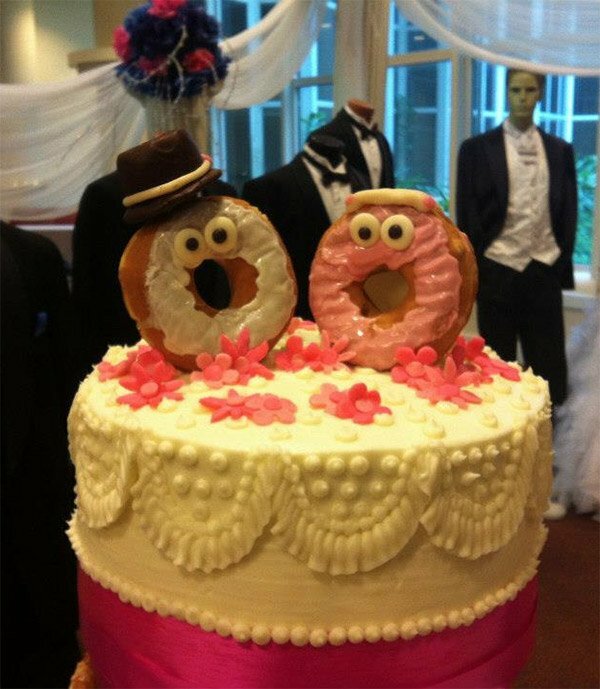 Sure there’s still a regular white cake on the top, but the little donut couple on top excuses them from their digression from the donut theme. And while this particular cake was made by professional pastry chefs, you could probably accomplish something pretty similar with a few dozen from your local donut shop.